We have been participating in the WVA-VVRS for many years now. Let us analyse what our present situation is. I will expose to you my personal feelings and ideas on how to improve our organisation and cooperation for the benefit of world preaching. Until now WVA-VVRS has no legally registered property as a headquarters, therefore we cannot be taken seriously and are unable to work alongside local governmental authorities. 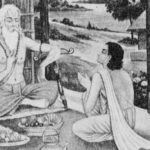 From the beginning we have considered ourselves an umbrella organisation which has never been dominated nor depended upon on any Acarya in particular, or his/her disciples or properties. We wanted to avoid the WVA-VVRS being perceived as belonging to one mission an to become a common platform for all Vaisnavas. 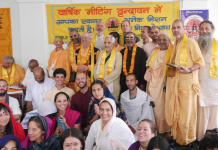 Unfortunately, 24 years after the founding meeting in Mody Bhavan Vrindavan, we are still yet to see and feel the result of intensive cooperation of between many Vaisnava Missions. What has been our weakness and how to overcome it? I feel that we have to encourage many Acaryas and many missions to be officially connected by some legal declaration and commitment. We can only maintain our umbrella-status with the joint strength of the activities of the member organisations, without ignoring the diversity and interfering with the personal character of any mission. Previously we would join the meetings as if we were guests. We have never considered it as our own international organisation that benefits our preaching efforts in many ways. We have not paid any membership fees nor have we established an WVA-VVRS office in our mission to relate to the umbrella efforts. We have never written about it in our publications nor referred to an existence of our international organisation in our events. 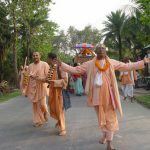 You may have a small mission, but with a connection to an international umbrella-organisation, you are connected to Mahaprabhu’s vision for the world. We have not taken Srila Jiva Goswami and Srila Bhaktisiddhanta Sarasvati Thakura Prabhupada’s universal vision seriously, how to preach throughout the world without sectarianism. The WVA-VVRS represents this universal spirit and it does not belong to any particular mission. It belongs to all of us. 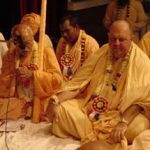 That is the reason why my spiritual master, Srila Bhakti Vaibhava Puri Maharaj, told me to accept the service as the Vice president of the WVA-VVRS 15 years ago. 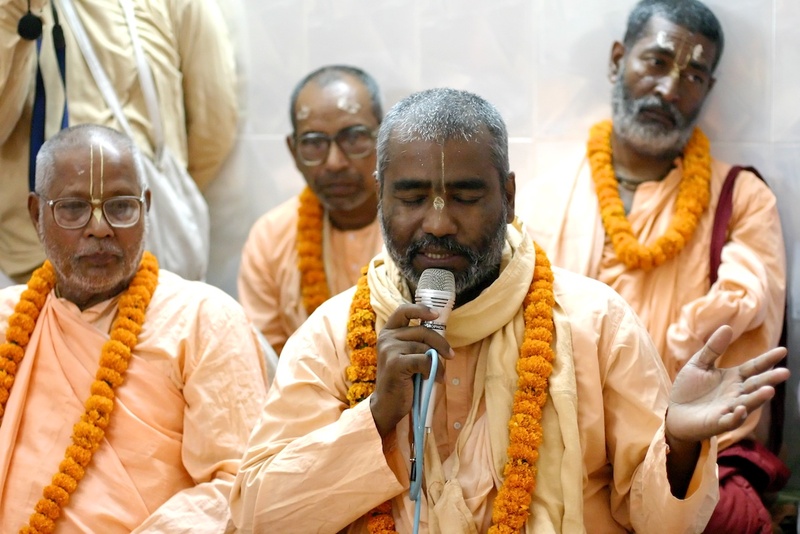 My request to all is, to become aware of the necessity of the WVA-VVRS for the preaching of Mahaprabhu’s mission throughout the World in order to form a unified platform in India through which we will be able to contribute to the global effort. Let us discuss what we can do to favour our joint interests. Since most of the Acaryas are short of spare time, each mission can appoint a truly capable secretary to join the meetings and plan our future. If the Acaryas can come, then wonderful, but if not, then they should be represented. 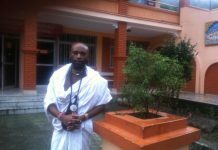 Our President Srila Gopananda Bon Maharaj made his first world tour this year, visiting several countries in Europe and South America. 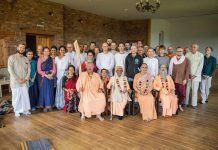 He was able to see the great and wonderful effort the WVA-VVRS members are doing outside of India to spread the message of Lord Caitanya. 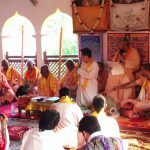 I myself have been visiting centers in different countries for many years and I can testify that many people in the world have joined the call of Mahaprabhu and are looking for support from all of us. 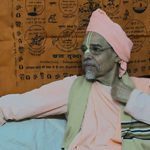 We truly need the presence of all Missions and their respective members, well-wishing Vaisnavas, who can contribute to the spirit of mutual love and affection, supporting the cause of a non-sectarian world preaching mission. Our next meeting will be held in the temple of Srila Bhakti Hridoy Bon Maharaja, Radha Govinda Trust, next the Madana Mohana Temple in Vrindavana, a day after Rama Ekadasi on the 4th of November at 10 AM. Please join us.